Sporty and stylish compact cars are fun to drive and look great on the road. How do some of the industry leaders--namely, the 2017 Honda Civic and Ford Focus--stack up? Both provide comfort and class with good fuel economy and safety ratings, but which one wins in a head-to-head? Let us help you decide. Compact cars aren't necessarily known for being spacious, which is why the Honda Civic will surprise you. It's one of the roomiest compact cars on the market, with the most front seat passenger space in its class. Soft-touch plastics on the dash, cloth or leather seating options, and nice features come standard. You'll also get automatic climate control, steering-wheel mounted audio controls, and tilting and telescoping steering column. By comparison, the Ford Focus feels spacious in the front but the head and leg room all but disappear in the back seats. In fact, it ranks among the worst in its class for back seat space. On top of that, the interior looks dated, with plenty of hard plastics. The Honda Civic's infotainment system has best in its class response time. Some drivers feel that it lacks intuitiveness, but can compensate with the included Apple CarPlay and Android Auto. These features allow drivers to use their smartphone interface instead of Honda's. Two USB ports and Bluetooth connectivity come standard. The Focus comes standard with Ford's Sync system on a cramped 4.2-inch screen. Premium trims have the better SYNC3 Infotainment system with 8-inch screen. Like the Civic, smartphone connectivity is an option while Bluetooth connectivity and USB ports come standard. The 2017 Honda Civic comes with a 2.0-liter four-cylinder engine that doesn't compromise power while still providing some of the best fuel efficiency in its class at 31/42 miles per gallon. And its turbocharged engine performs even better. You'll like saving money at the pump while also having no problem in the passing lane. The Focus, while good, doesn't match the Civic's fuel efficiency. Its 2.0-liter engine returns 26/38 mpg while the 1.0-liter turbo option offers 30/40 mpg. That might not seem like a big difference, but the Ford Focus also offers less power compared to the zippy Civic. The Ford Focus has nothing on the Honda Civic in terms of safety. Not only did the Honda Civic earn perfect marks in two different safety tests, it earned the IIHS Top Safety Pick. The Civic offers a bunch of optional active safety features like collision warning and lane assistance. The Ford Focus has decent safety ratings, but earned only an acceptable score on the front corner test. Most of its competitors scored higher. It has similar optional active safety features to the Civic's but many of them only come with the expensive Titanium trim. In every category, the 2017 Honda Civic beats its competitors. 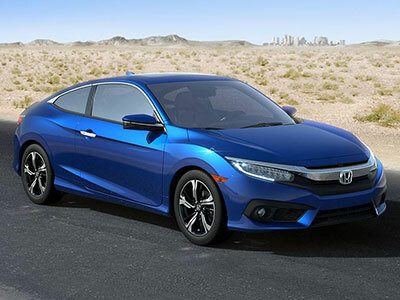 With its spacious newer cabin, fuel economy that doesn't skimp on raw power, and its perfect safety scores, the Civic continues to outpace the aging Ford Focus. In this head-to-head, the Civic outpaces its Ford competition.